The SALT festival, held on Southern Eyre Peninsula, provides a platform for artists and contributors to showcase their ideas and to interact. It is an opportunity to make connections across topics and genres to build a new and innovative community. 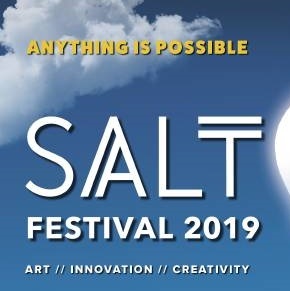 SALT celebrates the impact of people converging through creative practice in arts, innovation, conferences and discussion, providing platforms for innovators and professionals to contribute and connect. 2019 is the festival’s third year and will showcase: feature artist photographer Joe Puglisi, comedy acts, children’s activities, ‘Under the Surface’ exhibition and much more. To stay up to date visit www.saltfestival.com.au or SALT Festival on Facebook.